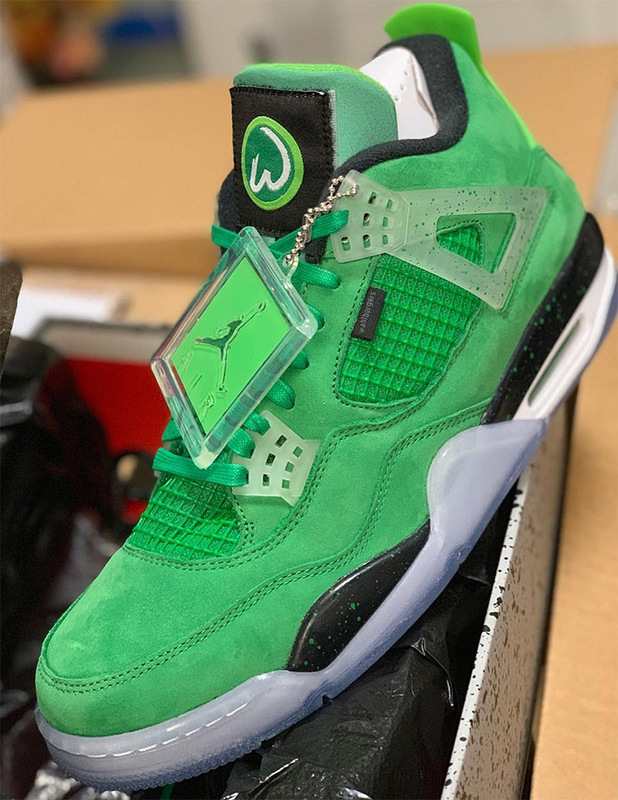 Earlier in November, Mark Wahlburg, a friend of the Jumpman23 program, revealed a bright green PE of the Air Jordan 4 inspired by his Wahlburgers burger chain. The movie star is now paying it forward by putting up these rare gems up for grabs through a raffle from Crowdrise by GoFundMe, with all proceeds going toward the relief fund for the damage and destruction caused by the California wildfires. A $10 donation will earn you one entry into the raffle, with options to donate one, five, or ten entries at a time. A second prize is also available – a one-on-one video chat with Mark himself. This is all going to a worthy and dire cause, so enter here on Crowdrise to donate and simultaneously enter the raffle.